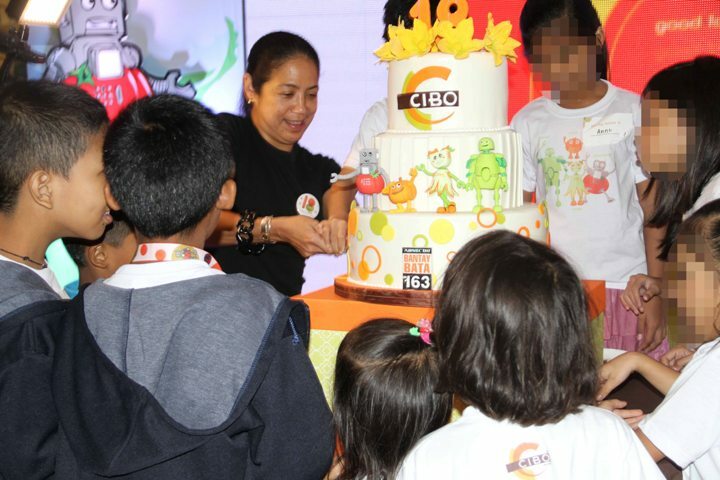 Margarita Forés, Cibo’s President of Food-Related Ventures slices the Cibo’s 18th Birthday cake with Bantay Bata kids. As Cibo and Bantay Bata 163 celebrated their back-to-back 18th year, Cibo announces their 18 pesos project for the child care program of ABS-CBN Lingkod Kapamilya Foundation. 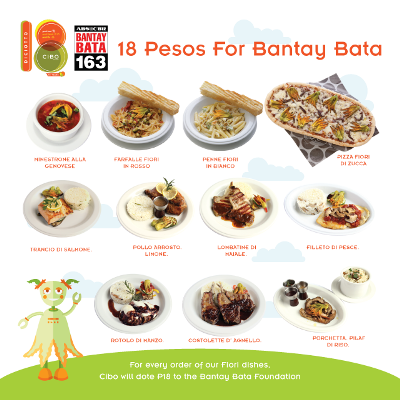 For every order of their featured dish, P18 will go to Bantay Bata 163 from August 22 to December 22, 2015. 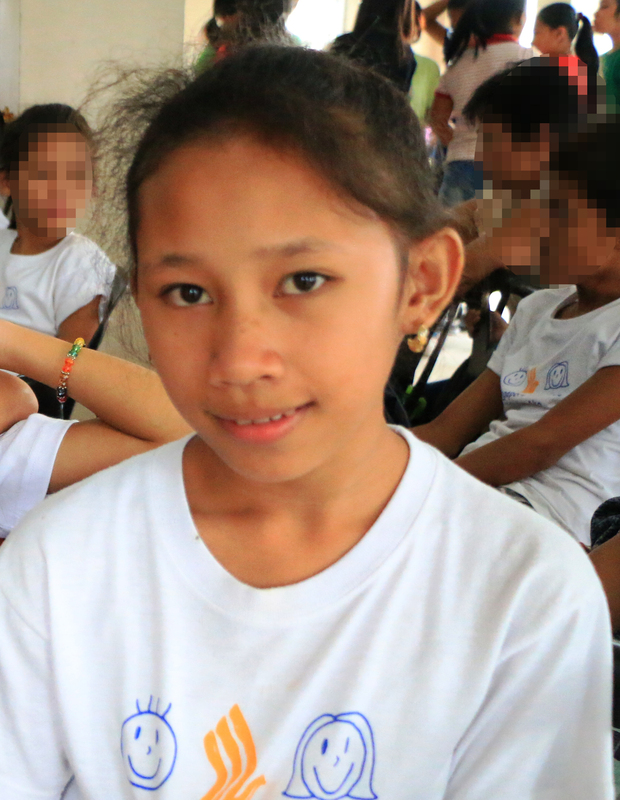 Aside from announcing this special project, Margarita Forés the President of food-related ventures of Cibo, invited 18 children of Bantay Bata to celebrate Cibo’s 18th year last August 22, 2015 at CiboBimbi, Power Plant Mall, Makati City. 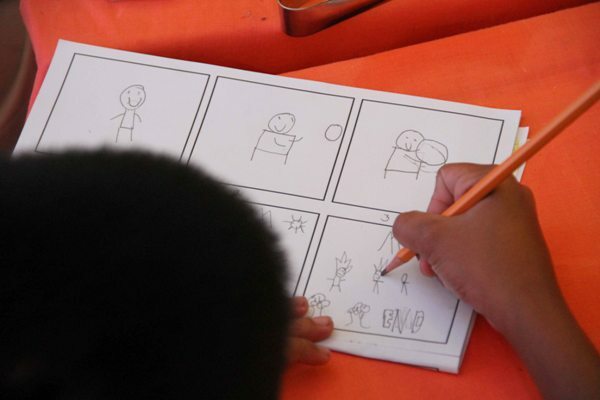 Part of the celebration was a pizza making workshop and comic book making workshop. 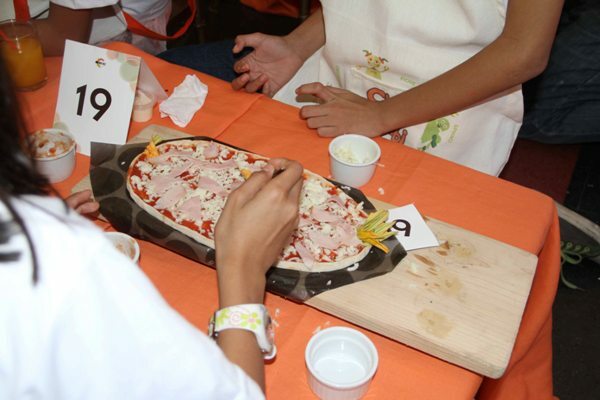 Bantay Bata kids relish the event as they enjoyed making their own design of pizzas and created their own comics. 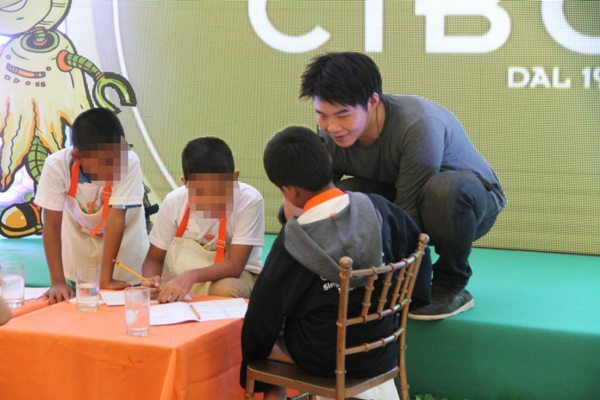 Rob Cham, a comic book artist of Alamat ng Panget and Anino Comics, was the one who taught them how to make a their own. Cibo also introduced their new member, Fiore, their first female character during the workshops.